Early visitors to Yellowstone explored the wonders of the park in all sorts of vehicles, from stagecoaches to surreys to snow planes (a precursor to the snowmobile). Those transportation modes were long ago eclipsed by more modern conveyances. But one early model, the park’s yellow touring buses, remains a staple. And they’re as big a hit as they were when they first rolled onto Yellowstone’s byways in the 1920s. 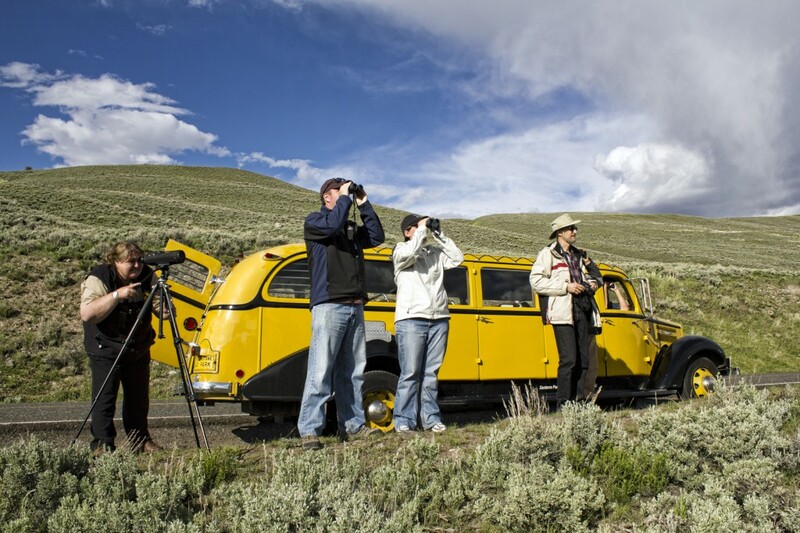 These days, a fleet of eight vintage White Motor Co. buses ferry visitors on guided wildlife-watching tours, photo safaris, sunset tours, and more. The distinctive antique yellow vehicles have retractable canvas roofs and panoramic windows, making them ideal for sightseeing. Plus, they’re really cool to ride around in. At the height of their popularity within Yellowstone in the mid-1920s, more than 400 of the vehicles operated in the park. As more visitors arrived in private vehicles and explored the park on their own power, the yellow tour buses were gradually sold off. But in 2002, Xanterra purchased eight of the vehicles from the Skagway Streetcar Co., which had used them for touring the historic Alaska mining town. In 2006, the vehicles were refurbished to meet modern safety and mechanical standards andin 2007, Xanterra returned the buses to service in the park. They also added basic amenities like heaters. The bodies sit on 2007 Ford E450 van frames and motors, but the exteriors of the 13-passenger vehicles maintain their original appearance. The Skagway Motor Co. had acquired these historic buses from around the country, where they’d served various duties. Each of the eight Yellowstone vehicles has a nickname related to its past life. Look for the name posted on the right-hand side above the windshield. For instance, there are “Big Rocky” and “Little Rocky,” named for their stints in Rocky Mountain National Park. “Monty” once belonged to a collector from Vermont. And “Hollywood” appeared in an episode of M*A*S*H and in the movie Big Trouble in Little China, Quinn says. 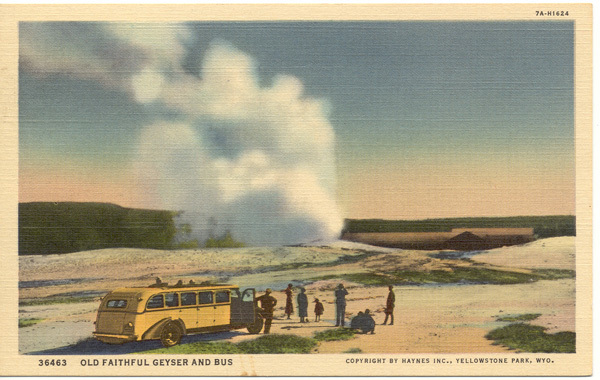 Regularly scheduled themed tours depart from Old Faithful, Mammoth Hot Springs, and Lake Hotel from late May to October. And one of the buses can even be rented for private tours. 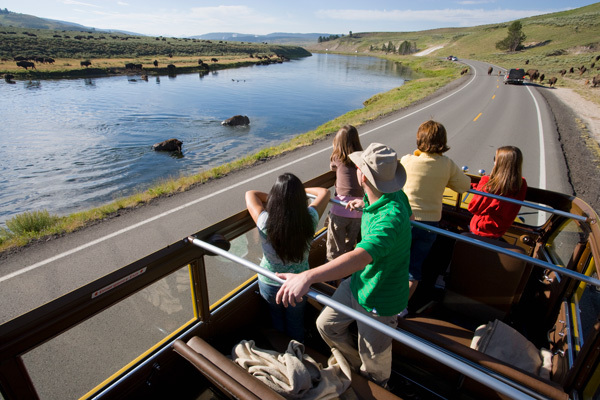 But wherever they roam, Yellowstone’s historic yellow buses are certain to cause a stir among onlookers.